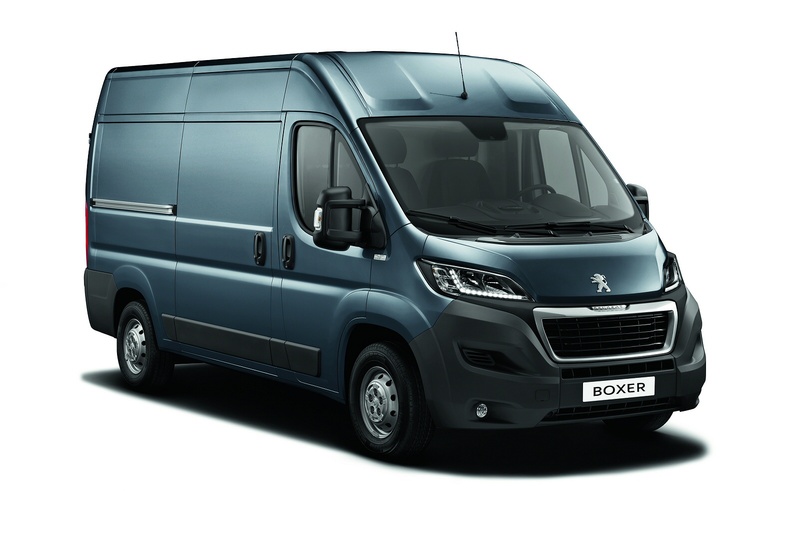 Peugeot's Boxer is a large LCV that has forensically focused on the things that make a real difference to fleet operators in order to give its heavyweight the best chance of a unanimous decision. Let's check out this revised model with its more frugal range of 2.0-litre BlueHDi engines. When choosing a van that can punch above its weight, Peugeot might not be the first name that springs to mind. In fact, you might well associate the brand with smaller commercials like the Partner and Expert. If you need something very big and tough, chances are that you might have looked at the Ford Transit, the Vauxhall Movano or maybe the Volkswagen Crafter. Overlooking Peugeot's Boxer is easy to do but could well bring on an acute case of buyer's remorse. The Boxer has quietly edged itself into position to challenge the very best in this market and the latest model, a beneficiary of more than two million miles of testing in extreme conditions, brings the sort of quality, robustness and durability that commercial operators demand. Couple that with what's now promised to be the best fuel economy in the market and a wide range of bodies and load capacities and you have a vehicle that's capable of doing the business. The Peugeot now offers a strong line up of three 2.0-litre BlueHDi diesel engines, all fitted with diesel particulate filters. At the foot of the range, there's a 110bhp unit with 300Nm of pulling power, 50Nm more than the previous entry-level engine. The next BlueHDi unit up is the 130bhp variant, which delivers 340Nm of torque, 20Nm up on before. Finally, at the top of the range, if you need to haul really heavy loads, you'll want the 160bhp powerplant, which fronts up with 350Nm of torque and has 10bhp more than its predecessor could offer. Big brakes, strong suspension mountings and a rigid body all improve the driving characteristics. BlueHDi technology has enhanced performance too. In the 110bhp version for example, acceleration has been improved by up to 4.0 seconds for the 0-62mph sprint and by 8.0 seconds for the important 50 to 80mph overtaking increment. The ESP stability control system is particularly refined on this van, with a Load Adaptive Control function which adapts the point at which the ESP intervenes, according to the load in the vehicle and its distribution. There's also Hill Start Assist, built into the ESP software. This system is activated when the vehicle is stationary, engine running, foot on the brake pedal, on a slope steeper than 5 per cent, in forward gear going up or reverse gear going down. Under these conditions, braking pressure is maintained for around two seconds after the driver releases the brake pedal, offering assurance and ease in moving off without the vehicle dropping back, whatever the load in the vehicle. On to the main practical facts you'll need. There are two body styles - Panel and Window van. The Panel and Window van can be specified in four lengths (L1, L2, L3 and L4) and three heights for the Panel van and two in the Window van. The Panel van offers loadspace options between 8m3 and 17m3. And payload options between 1115kg and 1900kg. And aesthetics? Well normally when manufacturers try to translate exterior design cues from cars onto vans, the how approach fails and comes across as a bit desperate, but the Peugeot Boxer actually looks pretty slick with its big chromed grille. The headlights are interesting too, looking like rather feline eyes, garnished with a daytime running light strip. The interior is nicely executed with far better materials quality than you might expect. The steering wheel looks quite car-like and can be trimmed in perforated leather as an option. The dashboard gets a smartly styled control panel and buyers can option it up by choosing from a wide range of audio systems. Black 'Darko' cloth punctuated with red and grey is used for the seats, with brown Achille trim as an option. The whole effect contributes towards the perception of quality and creates a modern appearance in the cabin. Despite that, this van is tough - and feels it. This Boxer has benefited from testing such as 1,500 hours at temperatures from -20? ?C to +40? ?C to ensure that the components and materials used in mechanical, plastic and electronic parts won't easily age. It's been subjected to 1,000 dunkings in 10cm of water or 3cm with saline spray, with no washing of the vehicle during the following 1,000 km, to validate the sealing and resistance to corrosion. Half a million door opening test cycles were carried out at temperatures of -30? ?C to +80? ?C, to simulate ten years of hard use. Peugeot's fighting for a share of a revitalised post-recession large van market, which now represents around 500,000 vehicles a year in Europe. The has grown by around 0.25 per cent in recent years, but Boxer sales have doubled that rate of growth, Peugeot's figures rising by 0.5 per cent. The latest version should do even better. It's certainly well equipped, even at the entry-level point. All models now feature Bluetooth with a USB input, a full steel buckhead and deadlocks. Step up to the Professional model and you get air conditioning, an alarm, cruise control with a speed limiter, a rear parking aid and a 5'' colour touch screen. This monitor allows the operation of all functions, such as audio streaming, reading SMS text messages and an integrated satellite navigation system, as well as the display of the image from the reversing camera. Safety inclusions across the range run to anti-lock brakes, a driver's airbag and ESP electronic stability control with emergency braking assistance. There's also various storage areas, as well as a document holder and writing table built into the folding backrest of the centre seat. If you�re looking for a new Peugeot Boxer 335 L3 Diesel 2.0 BlueHDi Luton 160ps Plus for sale, you�ve come to the right place. At Bristol Street Motors we don�t just have the best Peugeot Boxer 335 L3 Diesel 2.0 BlueHDi Luton 160ps Plus deals, we also offer friendly advice and help with all your enquiries to ensure your buying experience is a happy experience.